From 11 to 15 May 2015, approximately 750 international experts will meet at the Berlin ISRSE conference upon invitation of DLR to discuss Earth observation and climate change. One topic will be the German radar satellites TerraSAR-X and TanDEM-X. The two remote sensing satellites have recorded Berlin Central Station from space with millimetric precision. The results are visible in this image. In the course of a year, the steel complex deformed vertically by up to 1.8 centimetres and horizontally by between 1.5 and 3.5 centimetres. Other items of ‘critical infrastructure’, which the radar satellites measure from space, include bridges and dams. The Jakobshavn Glacier in Greenland is one of the fastest-moving glaciers in the world. The ice moves towards the sea at a rate of up to 35 metres per day. Climate change threatens this glacier. 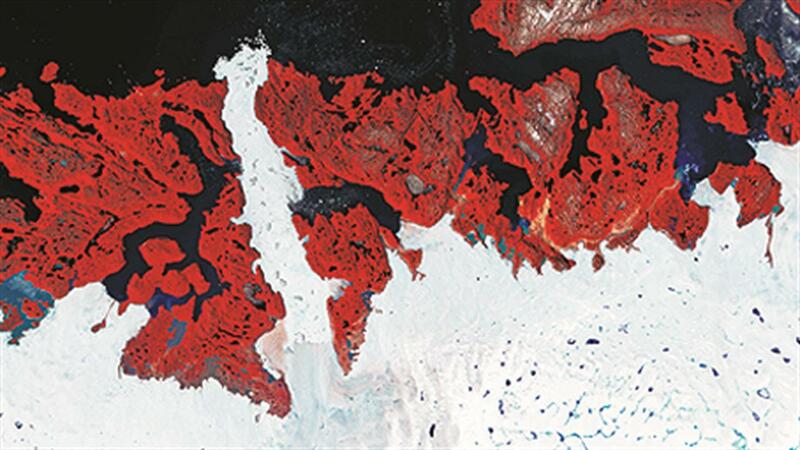 By comparing satellite images, it is possible to document the progress of glacial melting. At first glance, it looks like a patchwork quilt; in reality, this image from a remote sensing satellite of the area around the small town of Demmin in Mecklenburg-Western Pomerania gives important information about the status of agricultural land. The German Aerospace Center (Deutsches Zentrum für Luft- und Raumfahrt; DLR) is organising the 36th International Symposium on Remote Sensing of the Environment (ISRSE) in Berlin from 11 to 15 May 2015. The conference has taken place every two years since the 1960s – most recently in Beijing in 2013 and Sydney in 2011. "We are expecting some 750 participants from over 65 countries," reports Helmut Staudenrausch, head of the DLR organising committee. Gunter Schreier, responsible for the technical presentations, adds: "The five-day conference will include 500 talks and over 150 poster presentations. High-ranking experts from international and national space agencies, global Earth observation initiatives and industry will also be discussing the future of Earth observation in five plenary sessions. These will examine, for example, the most ambitious Earth observation programme in the world to date – Copernicus – and the use of technologies, such as microsatellites and drones." The conference provides the opportunity to become familiar with the world's most important Earth observation programmes and to talk to experts. How can Earth observation satellites support agriculture and contribute to food security? How can they be used to find underexploited energy potential? How does remote sensing help in dealing with disasters and catastrophes, and protect and manage scarce environmental resources such as fresh water supplies? What answers and applications do satellites offer to challenges such as global urbanisation and changes to Earth's ecosystem? In addition to the substantive aspects, ISRSE offers the opportunity to find out about and exchange information on new key technologies in Earth observation and data management. 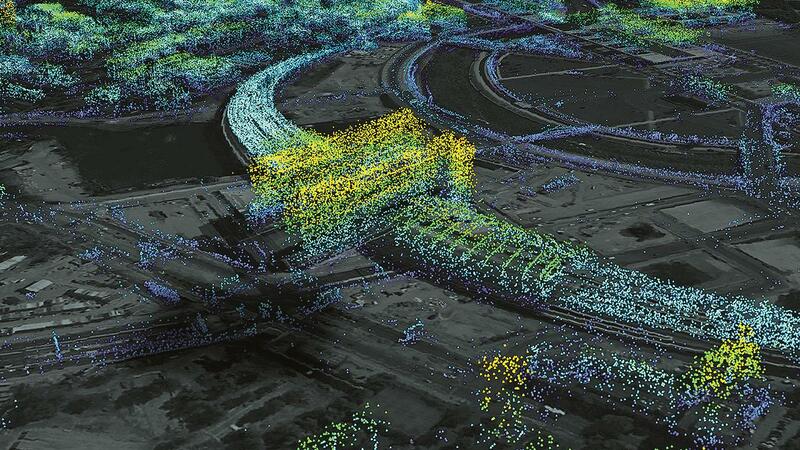 'Big Data' is also finding its way into Earth observation. Collaborative partners in the 36th ISRSE conference are the International Center for Remote Sensing of the Environment (ICRSE) in Tucson, Arizona and the International Society for Photogrammetry and Remote Sensing (ISPRS). The conference is being held at the Berlin Congress Center (bcc). Besides DLR, the main sponsors are the European Space Agency (ESA), the European Commission, the European Organisation for the Exploitation of Meteorological Satellites (EUMETSAT) and the US space agency NASA. Keynote speakers include the DLR Executive Board Chairman, Johann-Dietrich Wörner; Gerd Gruppe, DLR Executive Board Member responsible for the Space Administration, the Director of NASA's Earth Science Division, Michael Freilich; EUMETSAT Director General, Alain Ratier; ESA Director of Earth Observation, Volker Liebig and Deputy Director General of Research and Innovation at the European Commission, Rudolf Strohmeier.